Tesla is paring its workforce even as it tries to ramp up the currently backlogged production of its new Model 3. Reuters reported late Friday that the electric carmaker had recently shed 400 employees, citing routine performance review issues. 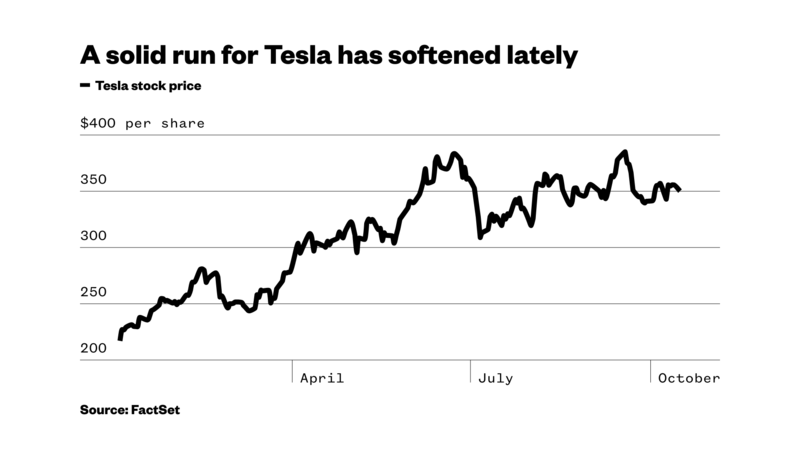 But insiders and analysts said the move was unexpected, which in turn fanned Wall Street’s lingering fears about broader problems with Tesla. Tesla shares slipped almost 2 percent on Monday. Investors have increasingly been worried lately about the company’s lack of profits, its reliance on debt financing, and the lackluster Model 3 rollout. Earlier this month, Tesla reported it had made 260 Model 3’s in its initial production run, well below the 1,500 the company had forecast earlier, due to unspecified production bottlenecks. The new vehicle, which carries a starting price less than half Tesla’s Model S, is an important bid for the company to expand from luxury customers to the mass market. Hence the keen focus on it among investors. Since the initial delivery of the first Model 3 in late July, Tesla’s shares have peaked at $385 in mid-September. But they’ve retreated 9 percent to trade around $350. Tesla employees about 33,000 workers total. According to the Reuters report on the company’s recent layoffs, it is paring workers at every level, including associates, team leaders and supervisors. Tesla also said Monday it will recall 11,000 of its Model X sport utility vehicles due to safety concerns about a rear seat locking system. That announcement seemed to have little effect on the company’s stock, however, as it pared its losses slightly late in the trading session. Tesla has been unprofitable through most of its history, including a net loss of $401 million in the second quarter. But its sales growth has been strong, totaling 2.8 billion in the second quarter, more than double the year-ago period. In essence the company is employing a growth strategy common among hot Silicon Valley tech companies: Get big quickly, plough any revenue back into growing the business, and worry about profits later. The question for Tesla right now is how much longer investors will be patient with that approach.